As silver climbs to ever higher levels, stainless steel has taken on a new celebrity status. It's clean looks, resilient make up and great price make it a popular alternative to sterling silver. 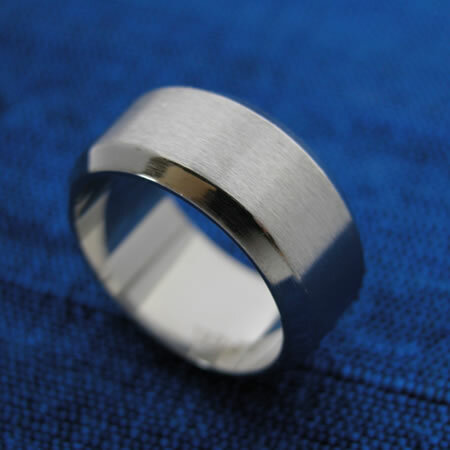 This piece is a hefty ring with an angled edge to add a little style. Measures about 10mm across. Stainless steel made in Thailand.